Create a beautiful butterfly in Wee Weavers with a little yarn and wooden ticks. Kids will learn one of the oldest artistic forms, weaving, in this activity. Paint a colorful masterpiece with a brush in Canvas Classic. Kids are welcome to paint on a real canvas propped on an easel with a selection of different paints. Clay Play will teach children how to form polymer clay into colorful sculpture or beads to make their own necklace, key chain or whatever else they can imagine. It’s okay for kids to play in the mud at this activity station guided by ArtStop’s own master potters as kids learn to throw a pot or form a vase on an electric potter’s wheel. Take a journey through the country of Japan and create a cherry blossom using tissue paper, paint and other crafts. Celebrate Cottonwood’s 50th Anniversary by taking it back in time with our newest activity Retro Rockets and the newest artistic creation BotJoy. Create your own personal robot or make a rocket in honor of landing on the moon in 1969, the year Cottonwood started. ArtStop is located near the southside of the Lakeside Courtyard. Just follow the paintbrushes and signs! What hours is ArtStop open? ArtStop is open during regular festival hours, Saturday 10 am – 7 pm and Sunday 10 am – 5 pm. Is there a fee to participate in the activities? Each activity is available for a nominal fee ranging from $2 per child ( 2 tickets) and up. Additional activities are available in ArtStop free of charge such as chiseling, chalk art and magnificent magnets. Where do I purchase tickets for the activities? Tickets can be purchased inside the ArtStop Children’s area at the ticket booth. What type of payment do you accept for tickets? Tickets can be purchased using cash or any major credit card. ATM’s are located through out the Festival site for your convenience. What if I don't use all my tickets? 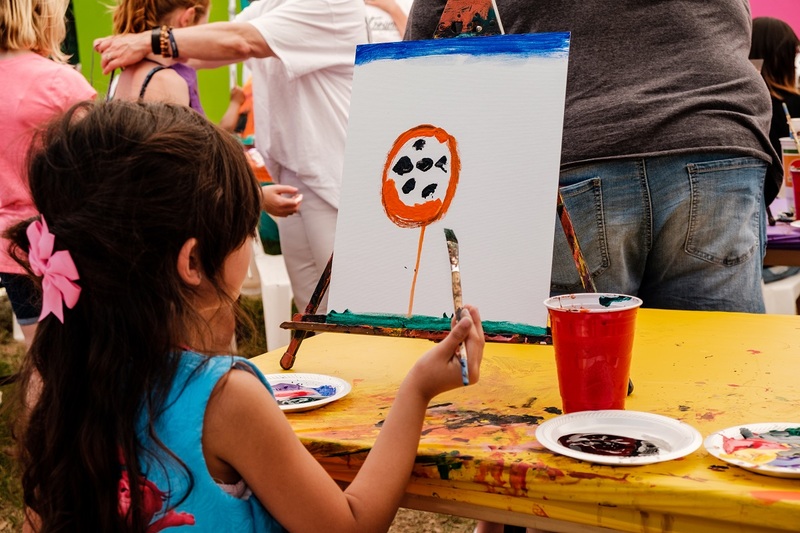 ArtStop tickets are non-refundable but may be easily purchased as needed for each activity within the children’s area. Tickets are valid for use all weekend on Saturday and Sunday during regular festival hours.